Disclosure: I’ve been compensated by QVC for this post. As always, all opinions and text are my own and I’m thankful for the brands who support LemonBlonde.com! 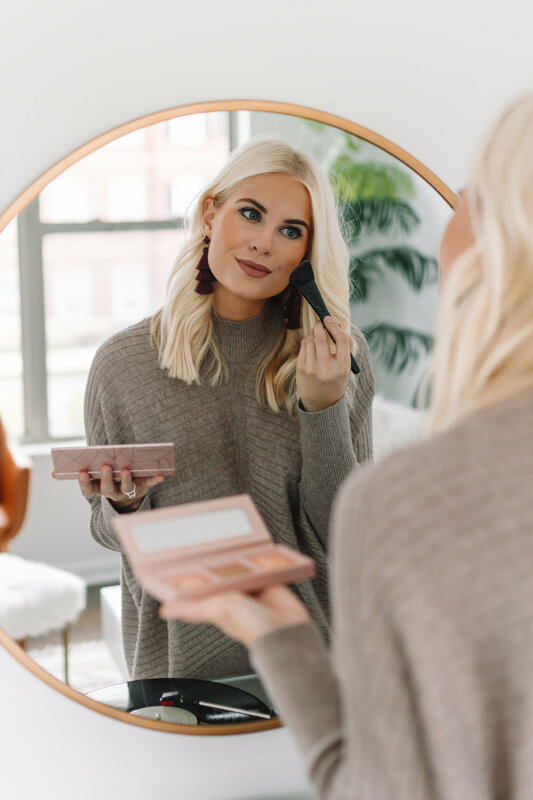 Today’s post is super exciting for me to share because I’m talking about one of my all-time favorite makeup brands that I’ve consistently used for years- bareMinerals. 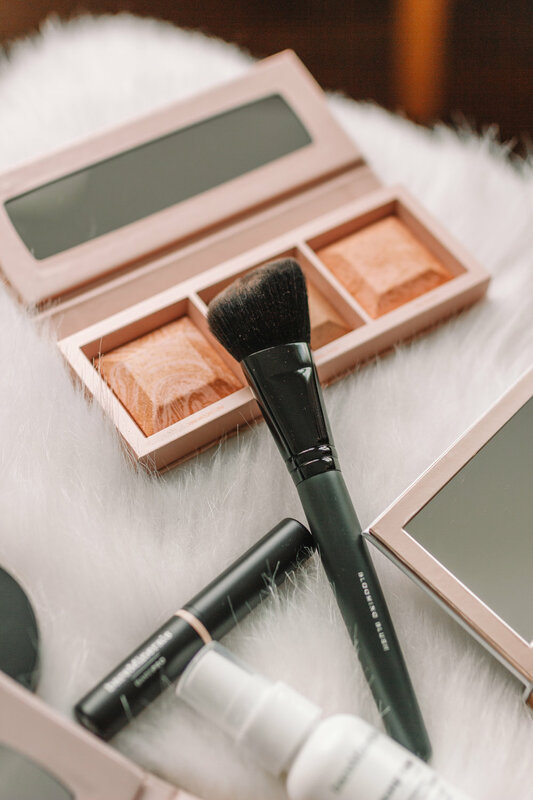 I started using bareMinerals during my early teen years when I realized that I desperately needed to start taking good care of my skin and treating it with the love it deserved! 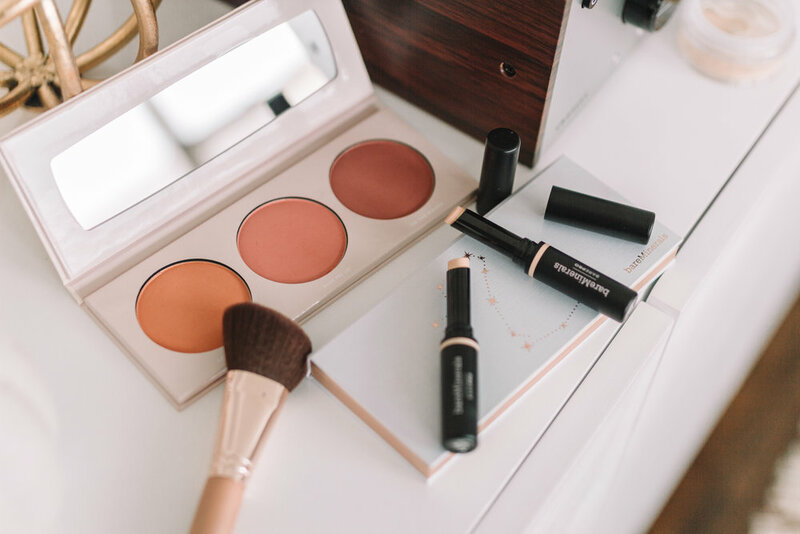 I found out about bareMinerals’ clean, mineral based products and I’ve been hooked ever since. You can find all of these products at QVC! 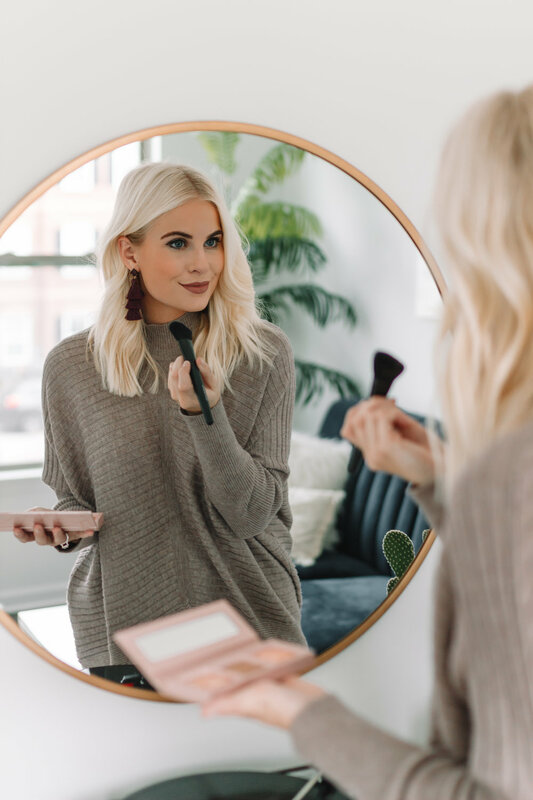 I’ll be breaking down some of my favorite products by bareMinerals and telling you a little bit about why I absolutely L O V E them! Aurora Lights Eye Shadow Palette- I love this palette because it’s super pigmented which means a little bit goes a long way. There’s a good mix of matte/metallic shades so you can create a variety of looks. 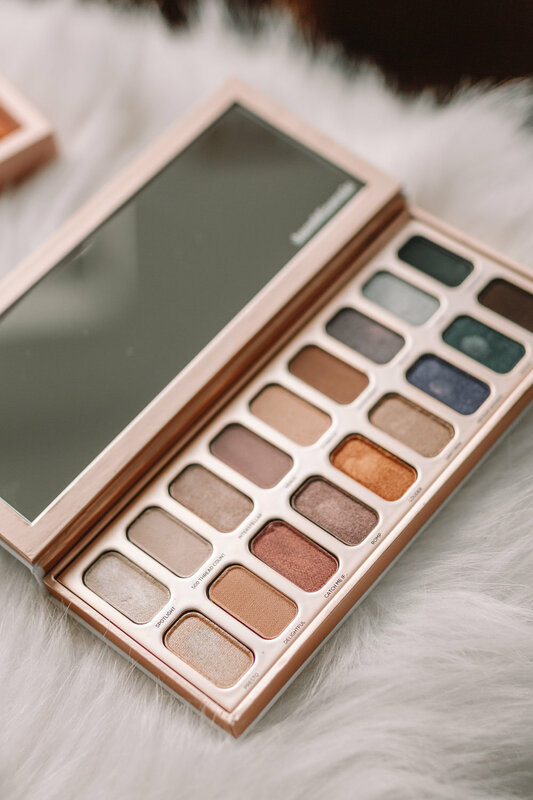 It has your more natural, everyday shades, but you can easily add some more bold colors to the crease of your eyes for a nighttime or holiday party look. bareMinerals Foundation- Remember when I said I’ve been using bareMinerals for Y E A R S?! Well it all started with their foundation. When I was 13 years old, I begged my mom to let me buy some new foundation with high quality ingredients. I’ve been hooked on this foundation ever since! It goes on like a powder and blends like a cream and it provides light to full coverage. It’s buildable and won’t look cakey in the areas that need more coverage. I wear shade “light” most of the year and then transition to “fairly light” during the winter months. Prime Time Foundation Primer- This is another product that I’ve been using since my early teen days. It’s an absolute MUST to use before your foundation. The primer goes on with a super silky smooth texture and helps address any rough patches, dryness, enlarged pores, and even excess oil. It will help your foundation go on flawlessly and help your makeup last. 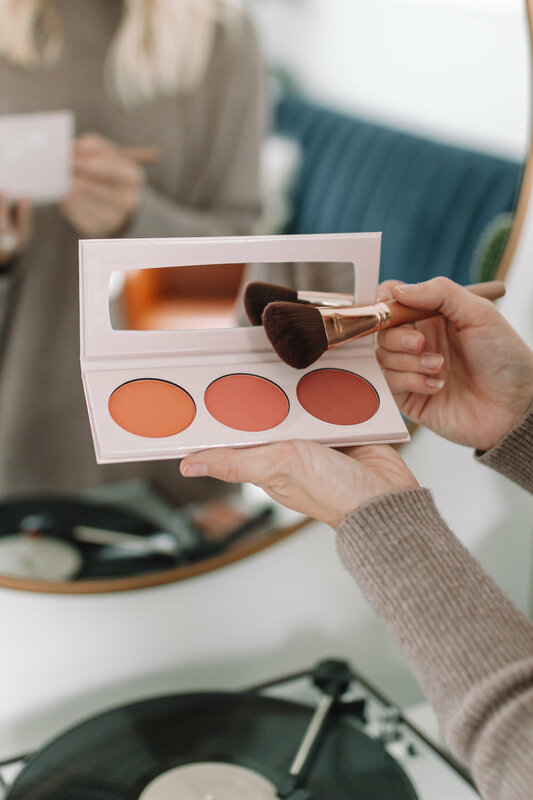 Bronzer and Highlighter Palette- This palette is great because it works for all skin tones and the different shades allow you to wear it throughout the year. There’s just the right amount of shimmer to make your features pop and you can also use it as an eyeshadow! OH and it comes with a brush! Concealer Duo- This concealer provides 16 hour full coverage and not only helps with concealing, but can also be used for color correcting and contouring. It glides on super smooth and is perfect for those pesky, dark under-eye spots. I typically create an upside down triangle under my eyes and then use my ring finger to gently blend in the product. 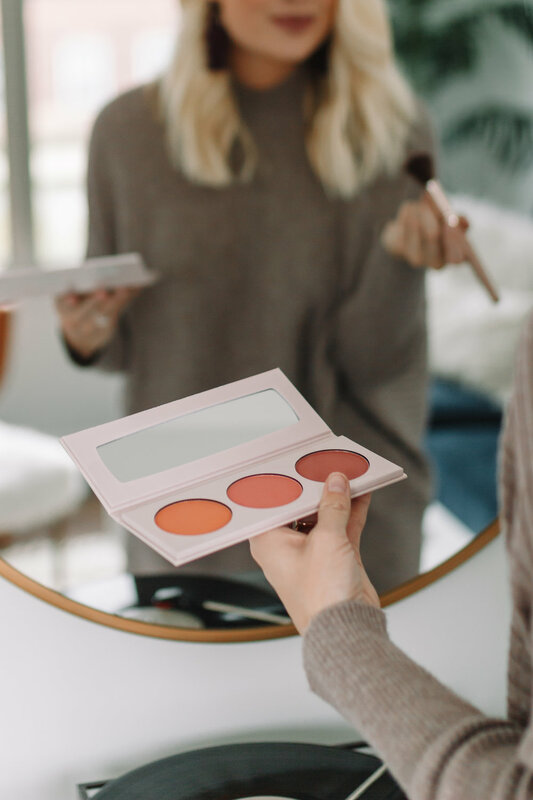 Blush Palette- This is a newer product for me that I’ve recently gotten hooked on. I love this blush trio that has the slightest bit of shimmer. The shades are super blendable and instantly add a nice pop of color to your cheeks. It also comes with the Blooming Blush brush! I’ve linked all of these products below so you can easily find them on the QVC site. I really think you guys will love them as much as I do! Thanks so much for stopping by today!